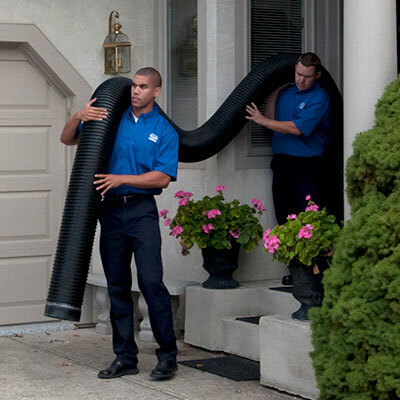 Our Air Duct Cleaning service removes up to 40 lbs. of dirt, dander and dust! Concealed behind your walls and mostly ignored, your air ducts serve as vital pathways that deliver warm and cool air throughout your home. While they may be unseen, your air ducts are working whenever you have your air conditioner or furnace running–nearly year round. Attached to your HVAC, air ducts transfer the air from these systems throughout your home. What many homeowners don't realize is that your air ducts, in nearly constant use, continually accumulate dust, grime, debris, pet dander, and allergens throughout the year. 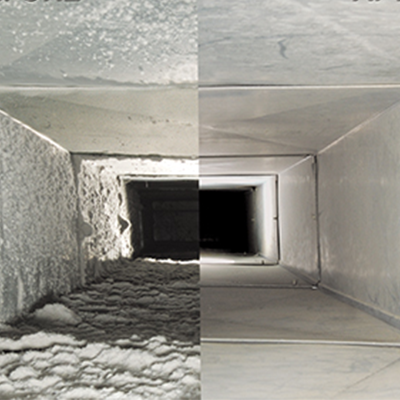 A professional air duct cleaning is necessary for better indoor air quality and the health of your family. Simply living in your home creates dust and dirt. Have you ever seen dust floating in the air in your home when the sun shines in? Dust, dirt, pet dander, mold spores, and allergens get pulled into the air handling system in your home. They build up in the ductwork; some of it gets recirculated back into your home, and some of it can be captured by a good quality air filter. Eventually, enough debris builds up to the point where most of it blows back into your home. 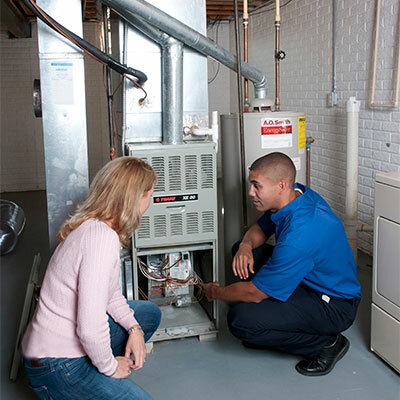 Your furnace or air conditioner must run longer to cool or heat your home, which costs you more in utility bills. With a service call from Sears Air Duct Cleaning, you can feel comfortable knowing that the accumulation of dust, dirt, dander, mold, and allergens has been cleaned from your HVAC duct system. Once on the scene, trained Sears professionals utilize powerful, truck-mounted equipment to clear your air ducts of dust, debris, pet dander, allergens, and grime. Our powerful air duct cleaning suction equipment vacuums out years of accumulated dust from your air ducts, leaving them clean and clear. Once finished, our technicians remove all equipment and make sure that your ducts and HVAC unit are restored to their best condition. For continued protection against dirty air ducts, your service technician may suggest a variety of air purification products. Your HVAC unit and air ducts deliver heated or cooled air throughout your home year-in and year-out. The air your HVAC unit produces travels through your ductwork and heats or cools your home via the air vents in each room. The dust and other particles in your home’s air are known as particulate matter, which the EPA defines as "a complex mixture of extremely small particles and liquid droplets." The EPA also notes that "particle pollution is made up of a number of components, including acids (such as nitrates and sulfates), organic chemicals, metals, and soil or dust particles." Having clean air ducts means fewer of these particles moving through your home. If you remove your furnace filter and hold it up to the light, you can probably see several hundred of these minuscule particles floating in the air. While your HVAC filter is designed to trap particulate matter and prevent it from entering your air ducts, particles often still get through. The number of particles your HVAC filter traps is directly connected to the quality of air in your home: the lower the quality of air, the more particles will be present, and the more particles are likely to get through the filter. If these particles are allowed to build up, your HVAC system can become less efficient, operating longer to heat or cool your home. An inefficient HVAC system can result in inconsistent heating or cooling, higher utility costs, and expensive HVAC unit repairs, such as an A-coil or blower motor replacement if the problem is left unchecked. Air duct cleaning from Sears, which focuses on the dirt in your air ducts, can boost the efficiency of a dirty HVAC system, cleaning out the particulate matter that can hinder HVAC effectiveness and affect your health. All Sears Carpet & Air Duct Cleaning franchise locations are independently owned and operated.